No matter where you are on your beautiful, often exhausting journey through motherhood, Joy-Worthy gives you a plan to put yourself first without guilt and rediscover what gives you joy. 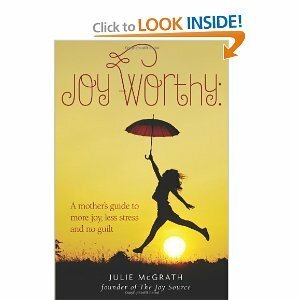 If motherhood is sucking the joy right out of you -- or you fear it might -- joy coach and licensed social worker Julie McGrath offers down-to-earth guidance on how to get your own needs met so you can be a better mother and create the fulfilling life of your dreams. You don’t have to put your happiness on hold -- you can learn how to be happy right now, because you are joy-worthy! I have to admit that I enjoyed this book, I very much believe that we can spent time away from our kids and have a life beyond them. I feel that are children will be fine in the end, even though Mom went to book club, or to a movie or on a girls weekend. I have thought for a while that we are so children centered that we forget we are not just mothers, but wives, sister, friends and so much more. This book gives so much great advise on how to have more joy, less stress and to do so guilt free. I rate it 4 stars. 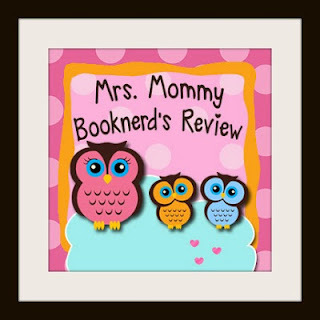 Children's book showcase and reviews! Firmoo glasses and sunglasses review!!! !